Amara are the leading clinics in Ireland for lip fillers. Amara offers the treatment of lip fillers and lip enhancement in Dublin through dermal fillers. Okay So I’ll level with you… I’m not sure if Angelina’s lips are real or not, but looking at the few old pictures that can be found online, younger Angelina’s lips look different from those of the celebrity Angelina we all know and love. And the difference is all in her top lip. The proportions of the perfect lips are very precise. MATHS precise. No really! Da Vinci’s code tells us that the GOLDEN RATIO applies to luscious lips too! The bottom lip should be about 2/3 of the lips and the top lip should be about 1/3. The lips are a focus of facial attention and are said to contain 100 times more nerve endings than the fingertips. Not only are lips handy for talking and eating but can even reveal things about us like distress or worry by variations in their size and colour. 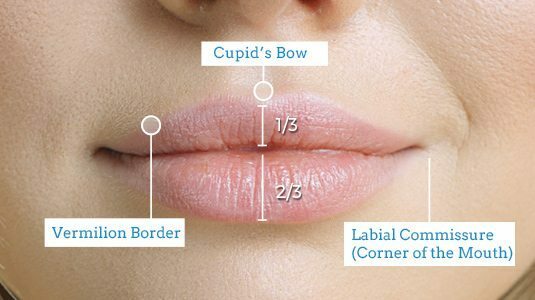 Lip fillers Dublin can be used to replace or add volume to the lips. Before the procedure we numb the lips using ice packs, A tiny needle is then injected into the lips. At Amara we use Juvederm filler as it is one of the most technologically advanced Fillers on the market and also contains a local anaesthetic that leaves .